**Half A Months Rent Free If You Move In Before Christmas** Property Cafe are delighted to offer this newly refurbished one bedroom ground floor garden flat apartment to the lettings market. The property is located close to St Leonards train station and an array of local shops. Internally the property benefits from a spacious living room, newly fitted bathroom, modern kitchen and bedroom. The property also benefits from a private rear garden, double glazing and gas central heating. As you will see from the photos the property has been redecorated throughout in neutral tones and will also benefit from newly fitted carpets. 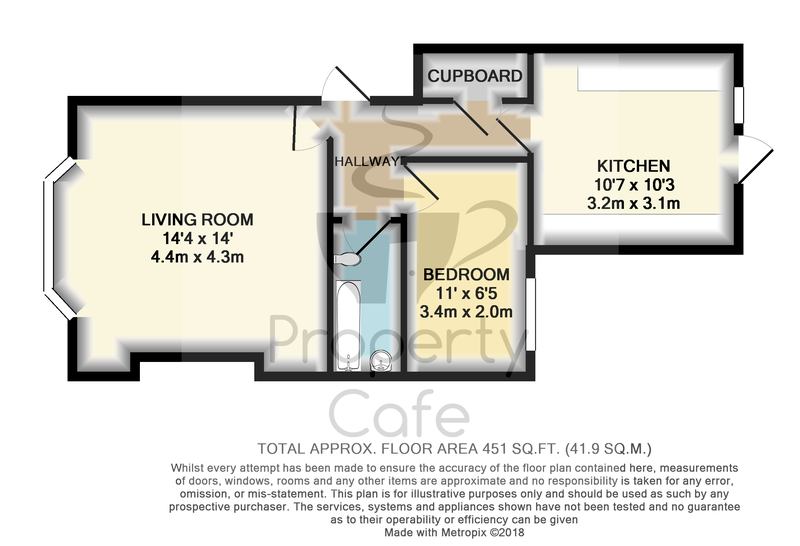 The property is available immediately and internal viewings are highly recommended. Unfortunately smokers, children and housing benefit will not be accepted. Pets are negotiable. To arrange a viewings please contact our office on 01424 224488.